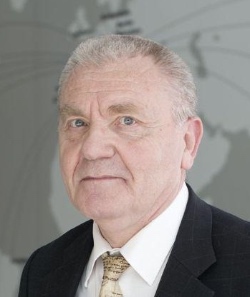 Jean-Pierre Bourguignon is the President of the European Research Council. He was the Director of the Institut des Hautes Études Scientifiques (IHÉS) from 1994 till 2013. He was also the first ERC Panel Chair in Mathematics, for Starting Grants. A mathematician by training, he spent his whole career as a fellow of the Centre National de la Recherche Scientifique (CNRS). He held a Professor position at École polytechnique from 1986 to 2012. From 1990 to 1992, he was President of the Société Mathématique de France and President of the European Mathematical Society from 1995 to 1998. He is a former member of the Board of the EuroScience organisation (2002-2006) and served on EuroScience Open Forum (ESOF) committees since 2004.